Artist Shaina Anand curates a handful of films for the Mumbai Film Festival that began last night. Jio MAMI 18th Mumbai Film Festival with Star introduces a programme this year called The New Medium. This section will feature the best in innovative filmmaking by scouring the living history of cinema - from its inception to the contemporary moment. The New Medium is formulated and programmed by artist, Shaina Anand who is co-founder of the artist studio CAMP, and the Indian Cinema Foundation. These films will be screened throughout the festival, between 20th to 27th October, 2016. The New Medium will bring together works that have shaped and transcended the language of cinema in both form and content. Powerful and relevant at the time they were made, they remain transformative as experiences. These movies challenge the preconceptions of standard methods of filmmaking. 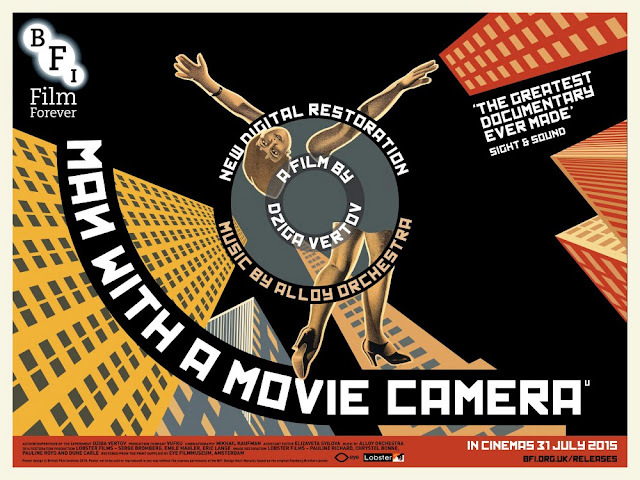 The New Medium opens with the restored version of Dziga Vertov’s audacious Man with the Movie Camera that was made in 1929. In 2014, Sight and Sound Magazine named it as the greatest documentary of all time. The film will be accompanied by a live score performed by the Vitaly Tkachuk Quartet joining us from Ukraine. This is how the silent cinema used to be projected. I first had an experience of this as a film student in Chennai, in 2005, at the Sathyam Cinema. They screened Himanshu Rai's (Bombay Talkies) Light of Asia (a film on Buddha) starring both Himanshu Rai and Devika Rani, with a live orchestra accompaniment. Amongst the 14 titles that will screen throughout the festival is Uday Shankars fantastical dance film, Kalpana (1948) restored by the World Cinema Foundation, Mani Kaul’s unseen mini-series Ahamaq (Idiot), and an iconic work of expanded cinema - the two-screen “Light Music” (1975) by Lis Rhodes that will be installed inside the cinema hall.